My article Why China needs a history lesson on the 1890 Convention appeared in Mail Today/Daily Mail (UK). India has won a battle on the ridge in western Bhutan by not allowing China to change the status quo and build a strategic road near the trijunction between Sikkim, Tibet and Bhutan. But Delhi has lost other battles. In 2003, China's Central Military Commission approved the concept of 'Three Warfares': one, the coordinated use of strategic psychological operations; two, overt and covert media manipulation; and three, legal warfare designed to manipulate strategies, defence policies, and perceptions of target audiences abroad. While some in India are satisfied with preventing the construction of the road, the other aspects of the standoff should be looked into (and indeed India does have strong legal and historical arguments). For example, Delhi has been unable to explain to the Indian public the background about the Chinese 'trick' regarding the 1890 Convention repeatedly quoted by the Chinese authorities. The spokesperson of the Chinese ministry of foreign affairs in Beijing vociferously managed to convince many that it was a valid treaty. However, the fact that the main stakeholders, Tibet and Sikkim (and Bhutan for the trijunction), were not even consulted, made it an 'Imperial Treaty' with no validity (in any case, the survey of the trijunction was done several decades after the agreement was signed; so China can't justify 'fixing' the trijunction by quoting this treaty). In Tibet: a Political History, Tibetan politician and historian Tsepon WD Shakabpa explained: 'In 1890 a convention was drawn up in Calcutta… without consulting the government of Tibet. Three years later, the trade regulations about increasing the trade facilities across the Sikkim-Tibet frontier were discussed: 'Again, the provisions of that agreement could not be enforced because Tibet had not been a party to the negotiations,' says Shakabpa. The Convention of 1890 and the Trade Regulations of 1893 proved to be of no use to the British as Tibet never recognised them; this eventually led London to directly 'deal' with Lhasa and send the Younghusband expedition to Lhasa in 1904 and open the doors to organise the Tripartite Simla Convention in 1914, with British India, Tibet and China sitting on equal footing. Today, Beijing speaks of 'renegotiating' the 1890 Convention; it would imply that the treaties signed with the Tibetans, particularly the Simla Convention and the border agreement (defining the McMahon Line) in 1914, would be scrapped and India would have no defined border with Tibet in the Northeast. The Chinese have tried similar tricks earlier. 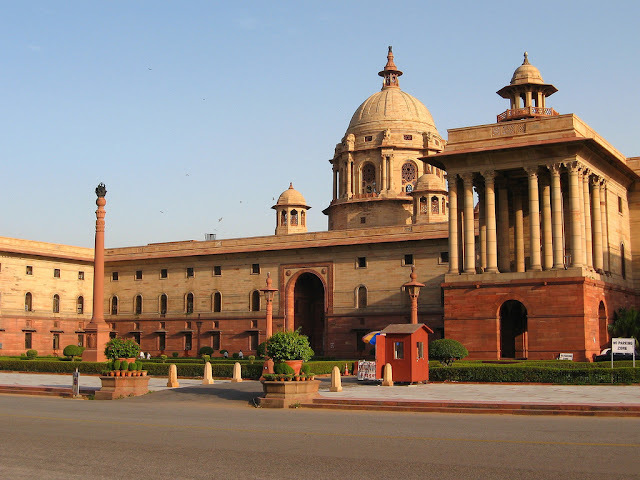 One factor which has led to losing the battle of information is the lack of a Historical Division in the Ministry of External Affairs (MEA). In the early years after Independence, the Nehru government established a historical division with S Gopal (President Radhakrishan's son) as its first head. The former top Indian diplomat adds: 'As head of MEA's historical division from 1954 to 1966, Gopal led the Division's work not just on diplomatic history but on the intersection of policy and history, making significant contributions to both.' An interesting case in point is the 1960 negotiation of the 'officials'. In April 1960, Nehru and Zhou Enlai, the Chinese Premier, had several meetings: 'The talks, however, did not resolve the differences that had arisen and the two Prime Ministers decided that officials of the two governments should examine the factual materials in the possession of the two governments in support of their stands,' said a joint communiqué. Subsequently five rounds of talks were held between officials of India and China; the Indian side was headed by JS Mehta, director, China Division, and Gopal, the then Director of MEA's Historical Division. The historian was assisted by knowledgeable colleagues such as TS Murty, G Narayana Rao and K Gopalachari. The first two meetings were held in Peking, in late June and late July 1960; the next two in New Delhi, in late August and late September 1960, and the last in Rangoon in early December 1960. The outcome is the Report of the Officials, still today a reference for any study on the Tibet-Indian border. The border issue could probably have been sorted out at that time. Ironically, the Indian point of view was so well documented (by the historical division) that the MPs were in no mood to agree to a compromise solution; India and China probably lost a chance to solve the dispute. Many examples of the usefulness of the Historical Division could be cited. 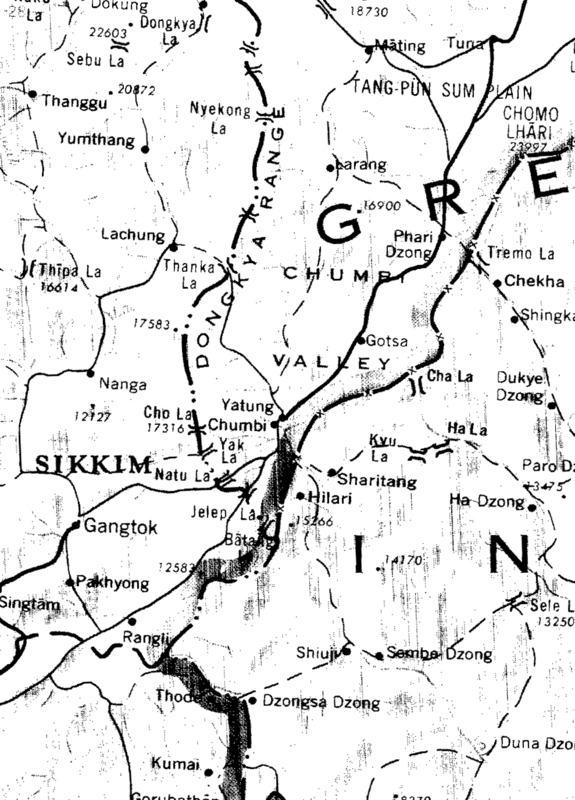 Incidentally in 1960, the Chinese refused to discuss Tibet's border with Sikkim and Bhutan; Beijing had probably no clue where the trijunction was. The point remains that a strong Historical Division in the MEA is a crying need today, like it was in the past. When the time comes to draw lessons from the present confrontation, let us hope that the ministry realises that it is a worthwhile investment, even if it has to be 'outsourced' outside the service. Chinese Foreign Ministry spokesperson in Beijing, as well the tabloid media in the Middle Kingdom, vociferously managed to convince the Indian correspondents in Beijing that it was a valid treaty. However, the fact that the main stakeholders — Tibet and Sikkim (and Bhutan for the tri-junction) — were not even consulted, makes it an ‘imperial treaty’ with no validity. Three years later, trade regulations were discussed over increasing the trade facilities across the Sikkim-Tibet frontier: “Again, the provisions of that agreement could not be enforced because Tibet had not been a party to the negotiations. It is surprising that the British entered into a second agreement with the Manchus, when they knew from the results of the first agreement that there was no way of putting the agreement into effect,” says Shakabpa. The Convention of 1890 and the Trade Regulations of 1893 proved in practice to be of not the slightest use to the British as Tibet never recognised them; this eventually led London to directly ‘deal’ with Lhasa and send the Younghusband expedition to Lhasa in 1904 and open the doors to organise the tripartite Simla Convention in 1914, with British India, Tibet and China sitting on equal footing. Today, Beijing speaks of ‘renegotiating’ the 1890 Convention. It would consequently imply that the ‘equal’ treaties signed with the Tibetans, particularly the Simla Convention and the border agreement (defining the McMahon Line) in 1914, would be scrapped and India would have no more border with Tibet in the North-East. The Chinese have tried similar tricks earlier. 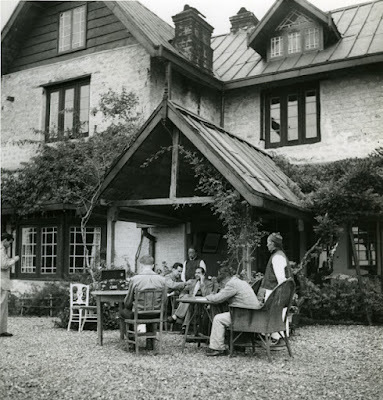 In October 1948, the Nationalist Government in Nanjing sent a communication to London, notifying His Majesty’s Government of termination of Tibetan Trade Regulations of 1908. New Delhi was quick to see the game. Lhasa was then in control of Tibet’s foreign policy; Tibetans could travel from and to India without visa or registration. It was not the case for the Chinese who, when they transited from Tibet to China via India needed a visa. A long debate started in the Ministry of External Affairs in New Delhi on the policy that ought to be followed by independent India vis-à-vis Tibet. It was a pretext to force Delhi to forget the 1914 Convention (and thereby the border agreement). However, the diplomats in South Block were not new to Chinese diplomatic niceties, the Foreign Secretary himself having served several years in Nanjing. Had the Indian Ministry accepted the Chinese contention, India and Tibet would have lost the only demarcated border (ie the McMahon Line). When it hammers on the 1890 Convention, Beijing is trying the same old ploy today. Incidentally, the survey of the tri-junction was done several decades after the 1890 agreement was signed; China can’t justify ‘fixing’ the tri-junction by quoting this ‘unequal’ treaty, when nobody knew where this place ‘Gipmochi’ was. It looks like China has started retaliating against India. Apart from the cancellation of the Kailash Yatra, China has taken some new measures to show 'how upset they are' with India's reaction to the construction of a road on Bhutanese territory. 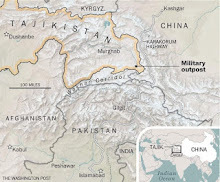 China can’t do much at the trijunction between Sikkim, Tibet and Bhutan, but Beijing has now started retaliating in other areas; while the confrontation continues near Doka La in Bhutan, some Chinese troops tried to occupy an area in Ladakh on the shores of the Pangong Tso. It shows the mounting tension following the Doklam confrontation. 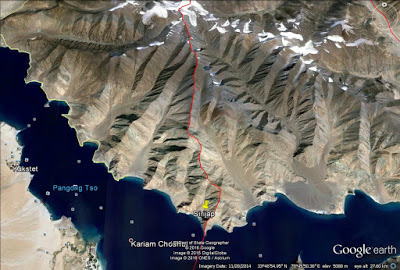 Apparently the incident took place between Finger Four and Finger Five on the Pangong Tso (lake): “India claims the area till Finger Eight but controls and dominates up to Finger Four. The situation was brought under control after thirty minutes of face-off, when both sides held their banners indicating either side to pull back to their respective positions,” says the HT. Some reports say that the Chinese soldiers carried iron rods and stones, and in the melee there were minor injuries on both sides. Another sign that the tension is mounting: Border Personnel Meetings (BPM) were to be held like every August 15 at five places along the border. This year they did not take place. 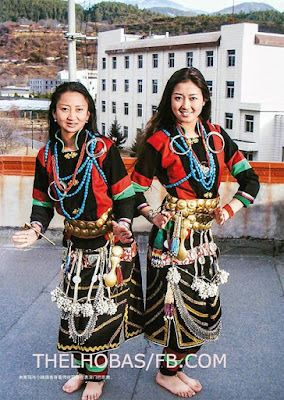 India and China hold BPM at five points: Daulat Beg Oldie and Chusul in Ladakh, Kibithoo and Bumla in Arunachal Pradesh and Nathu La in Sikkim. Though invited the Chinese officials did not turn up. It shows that Beijing has not digested as yet the Doklam incident and the fact that India stopped them building a road. Some Indian media reported that the meetings could not be held as China’s PLA officials did not respond to communications from the Indian Army. The fate of the annual India-China Hand-in-Hand joint military drill hangs also in balance as India has not received any word from the Chinese side, which is supposed to host the exercise this year. They will probably no joint exercises this year. Perhaps more serious, it appears that China had stopped sending the routine information on river water flow of the Sutlej and Brahamaputra. The Pareechu river originates in India, then it meanders into Tibet and then merges into the Sutlej near Sumdoh (a border post in India). A glacial lake on Pareechu formed behind a landslide dam in 2004; on June 26, 2005, it busted provoking Glacial Lake Outburst Floods (GLOF). After the 2005 GLOF, India and China signed a protocol for sharing information on the water level from Pareechu and the Sutlej. China has apparently stop sharing information about the water inflow, which makes it dangerous for the local population in Kinnaur. I have earlier mentioned the long article in The Global Times about the diversion of the Yarlung Tsangpo/Brahmaputra. Another warning that Beijing has started retaliating for to the ‘loss’ of its road in Bhutan? China is indeed playing a dangerous game. In January 2015, I wrote on this blog about the proposal of diverting the Indus towards Xinjiang. Now a new proposal has emerged: to divert the Yarlung Tsangpo to Xinjiang. According to The Global Times: “Scholars mull project to divert water from Tibet to arid Xinjiang”. The Party's newspaper adds: “Policy-makers have left plan stranded citing unfeasibility”. Ren Qunluo, professor at the Xinjiang University of Finance and Economics is quoted as saying: “Water from rivers such as the Yarlung Zangbo River can help turn the vast deserts and arid lands into oasis and farmlands, alleviate population pressure in the east, as well as reduce flood risks in the counties through which the river travels downstream,"
Ren told The Global Times: “Xinjiang has 1.1 million square kilometers of plains, equal in size to all the plains in the country's east. But less than 70,000 square kilometers are arable due to a shortage of water. If all these plains are greened, another China will have been created." China is obsessed with these diversion schemes (and it conveniently comes at a time of the confrontation with India at the trijunction Bhutan-Tibet-Sikkim). Incidentally, the Indian journalists 'invited' by the Ministry if Foreign Affairs in Beijing should have asked more details about the new scheme. India and Bangladesh are not mentioned in the scheme. The Global Times makes three points. However the report says: "[The] pro-diversion experts are now trying to rally support for the idea." Information Warfare is going on... full swing. Here is my old post of January 2015. The objective of the scheme is to bring water from upper reaches of the Han River, a tributary of the Yangtze, through the central route of the South-to-North Water Diversion project, the second of three routes planned to transfer water from China’s wet south to the dry north. Once fully functional, the Central Diversion is expected to provide a third of the capital’s water needs. The official news agency boasts: “It is another engineering achievement by the Chinese,” quoting the Beijing-Hangzhou Grand Canal, the world's longest man-made river, opened in the 13th century for transporting grain. 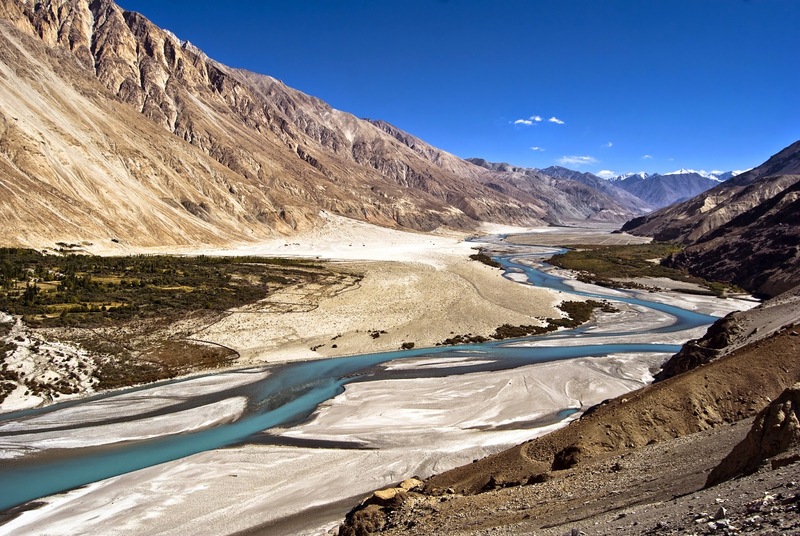 The pro and the cons of the present project will continue to be debated in the months and years to come; in the meanwhile, some researchers in China have thought of another smaller ‘pilot’ project: to divert the Indus river towards Xinjiang. A detailed report on the scheme is posted by a blogger on the website ScienceNet.cn. Since January 2007, more than 5,000 scientists and graduate students have posted their papers on ScienceNet. The editorial board of ScienceNet says that it has been ranking first among Chinese science websites. The blogger quotes Chinese researchers who argue that the other planned 'diversions' require extremely complicated construction plans, large investments, long building periods and face a lot of engineering problems due to the complexity of the issues involved (I would add, and 'displacing millions of people'). It makes these projects difficult to undertake, while a small-scale, with low investment and a quickly realizable scheme, could be an ideal pilot project. 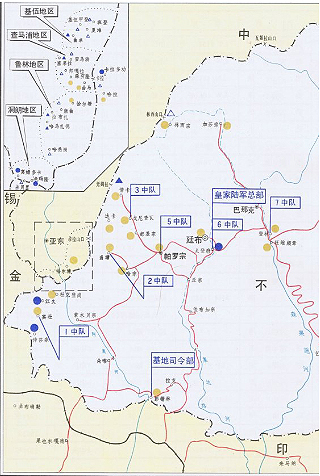 The ‘researchers’ propose to add a South Western segment to the Western Diversion Route (not yet started), which is the third part of the South-to-North Water Diversion project. 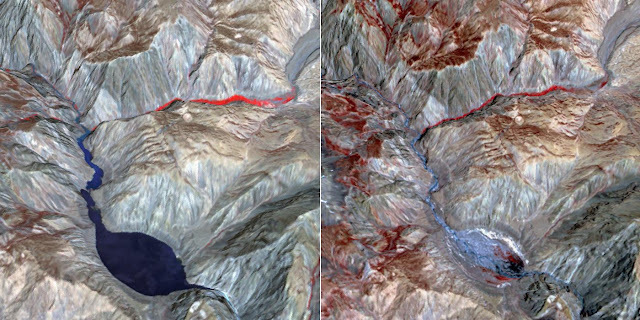 It would involve the diversion of the waters from the Indus river in Western Tibet (before it enters Ladakh) towards the Tarim Basin in Xinjiang. According to the authors, the scheme would meet the requirements of a ‘pilot’ scheme. In a summary, the ‘scientists’ explain that the water diversion project referred to in their paper could be called “the South Western section of Western Route Project”; water could be taken from the Tibetan Plateau in the West and brought by gravity to the Tarim Basin in Xinjiang. The text describes the preliminary survey of the South Western part of the Western Route Project. The size of the diversion program and a brief description of China’s northwest after the transfer of the Indus’ water, are given. The main conclusion is that the diversion will help maintaining long-term stability in Xinjiang. The paper explains why and suggests deepening the research before an early implementation of the South Western section. Once the project is fully implemented, the total amount of water resources locally available could greatly increase; it could provide a substantial increase in the amount of hydroelectric power; the desert could become an oasis, it could improve the ecological environment, which in turn could promote local economic development of the region and the living standards of the local people. The research says that the new oasis could in turn ‘curb global warming’ [sic]. If the global warming argument is indeed correct, say the ‘scientists’, the South Western section could increase the rainfall in China; this countermeasure could help curb global warming for the entire humanity; this is why the diversion project must be able to get the global support and backing of most countries [what about India?]. 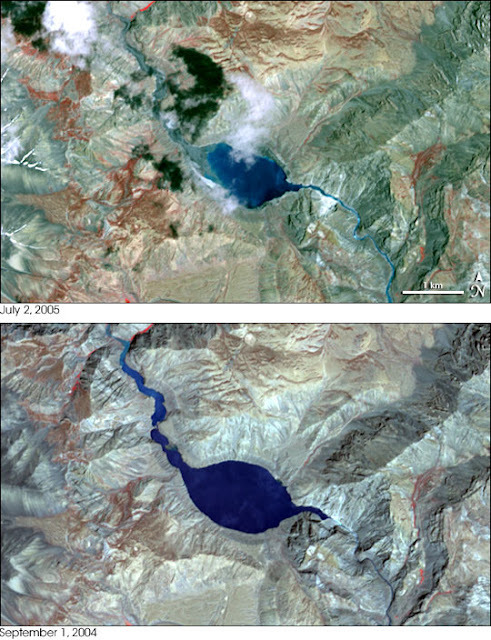 China can then get a substantial increase in the local precipitation; the desert in northwest [Xinjiang] would disappear; the desert would become an oasis which would be able to grow food and have power plants; humans would be able to reduce the need for fossil fuels; after additional diversion oasis would absorb large amounts of greenhouse gases each year, thus it would achieve the goal of curbing global warming. It could contribute to China’s food and energy security. After the diversion, the desert turned-oasis could increase the country's arable land for China to contribute to the world food security. The western development could make a significant contribution by reducing regional disparities. China's population distribution is unbalanced; the development gap between China and western regions and other regions is too large; it has been extremely detrimental to the country's development. The diversion could strengthen China's actual control of Aksai Chin, and help to resolve the territorial dispute. Sino-Indian border has not been formally delimited in the Aksai Chin and Pangong Lake areas; there are some territorial disputes [with India]. The water diversion project, through Aksai Chin, could help the actual control of this region; the implementation of the project could also help to resolve the territorial dispute [with India]. 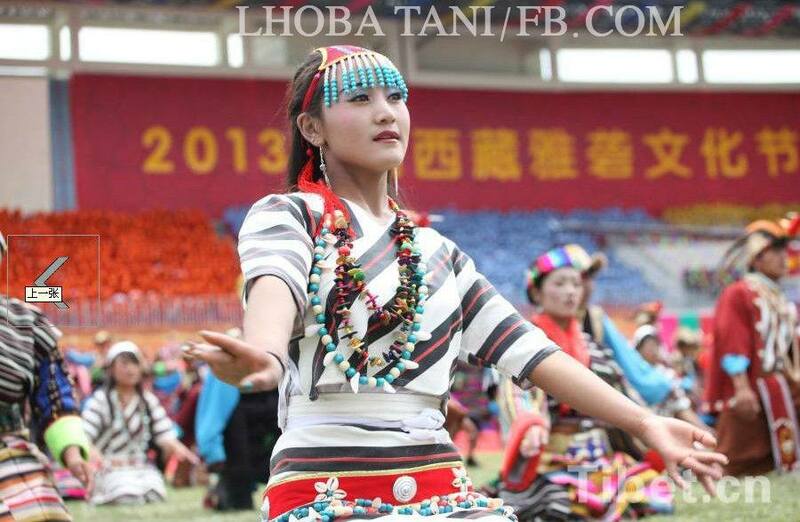 Finally, the project could promote national unity and maintain long-term stability of Xinjiang. This, according to the authors, is the main benefit of the South Western section: the long-term stability of Xinjiang. This ‘easy’ pilot project does not, of course, take into account what the neighbours (including China’s all-weather friend, Pakistan) would have to say. The question is, while Beijing is very quick to remove internet content which contests its rule, why is such a crazy and highly objectionable project allowed to be posted on a semi-governmental website? I have often mentioned on this blog, The Three Warfares, more particularly the Propaganda/Information Warfare. Today China believes that it has mastered the Art and that it has demonstrated it in brainwashing many Indian journalists in the wake of the Doka La confrontation, near the trijunction between Tibet, Bhutan and Sikkim. This may have been true during the first weeks in view of the of the paucity of information (and knowledge) from the Indian side. Propaganda (or disinformation) has always taken an important place for the survival of a totalitarian regime. It continues today, whether it is with North Korea or China. 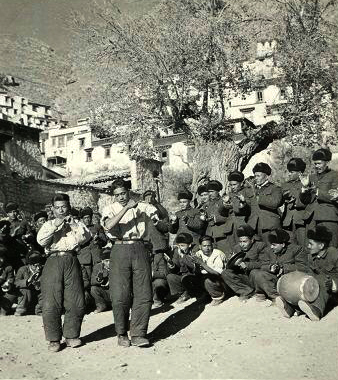 During the 1962 Sino-Indian conflict, the Indian POWs in Tibet were subject to the heavy Maoist propaganda machine. Unfortunately in most (not to say all) of the cases, it did not work. Today, the Chinese are probably attempting to brainwash the Indian soldiers on the ridge on the heights of the trijunction in Bhutan. The Indian jawans is just not brainwashable! 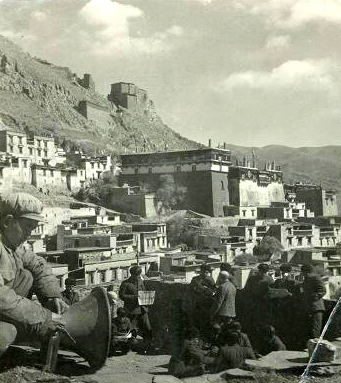 Here is the account of a young captain who was taken to Tibet as POW war in October 1962. He recalls his days in the camp in the Yarlung Valley. Note that I had earlier posted another account of the Indian POWs in Tibet on this blog. Initially, Capts [captains]and below were housed together with the JCOs [Junior Commissioned Officers] in one of the village tenements. The Chinese discovered that their political propaganda was effectively countered by some of us whenever their officers came to us for “friendly chats”. In the event, it had no effect on any of our JCOs and the result was that when we met the NCOs [Non-Commissioned Officers] at mealtimes (twice daily) the same was effectively countered by all of us for ensuring that they are not wrongly influenced. This realization to set in, took the Chinese authorities almost one month. 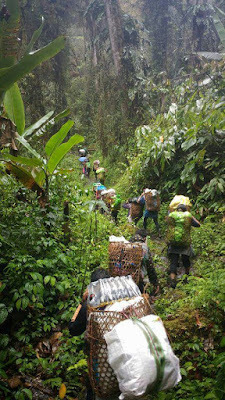 It was them that all eight of us were shifted to another hut. Although this reduced our contact time with the JCOs, we nevertheless still met twice daily at the Langar [Common kitchen] and made it a point to counter some of the blatant lies which the Chinese were trying to spread. Somehow the Chinese had come to the firm conclusion that if they could mete out exemplary punishment to one of us, the articulation of opposing viewpoints to their propaganda would either stop or would be stifled to a low murmur. This was the background to the drama enacted in late Dec’62 when the whole camp was gathered at one place (excluding Fd Offrs [Field Officers]) and a charge sheet was read out against me, in Chinese duty translated by Lt Chou in English and another interpreter in Hindi, “for trying to …our dissension in the cordial relations between Chinese and Indian People”. Accordingly, “criminal Capt …is awarded 30 days solitary confinement.” As in case of our SCM [Summary Court Martial], there was a small squad standing nearby which handcuffed the prisoner and escorted me away to the place of confinement. This event had a salutary effect on everyone for a day or two, as I learnt later. I was kept in a dark room with no light, but twice a day a sentry used to leave the food plate inside. Lt Thong visited me once every day and tried to persuade me to officially apologise for being an enemy of Chinese-Indian friendly relations and to connect my ways for future. He promised that as soon as I accepted my mistake, the rest of my punishment would be commuted. While it was quite depressing for the first two days I found that regular recitation of Japji Sahib [Sikh mantra recitation] , the only “Path” (Prayer) I know by heart helped me retain my spirit. By the third day I found myself walking inside that dingy room which was diagonally 7 ½ paces, practically throughout my waking hours, and made me much more determined than on the first two days. The plan to effect and escape from the PW camp was fortified in my mind over the next two to three days, while still in solitary confinement. On the fifth day, Lt Thong and the Company Commander (Fatty) came to my cell at about mid-day and said that the camp Commandant had decided to take a lenient view of my crime, and in order to promote age-old friendly relations between the two peoples, has decided to release me unconditionally. It is only when I rejoined my other colleagues that I learnt of the counterproductive effect my punishment had on the men of my Para Troop, officers/JCOs and NCOs of our company. All of them expressed open resentment to the Chinese interpreters who used to visit them over the day for “friendly chat”. 2/Lt [Second Lieutenant] A, my Gun Position Officer, and 2/Lt B. of 2 Rajput were extremely vocal in telling all the JCOs and NCOs at meal times to display their unhappiness to the Chinese on their action. A. also told me that, you had also forcefully told the Chinese that it was a folly on their part to have tried to somehow tame me. I think Thong or Chou conceded to him that they did not realize that I would not break after one or two days and agree to apologise publicly. Had my prayers not given me the required strength, I could have crumbled and agreed to accept my mistake. Perhaps, they would then have repeated the drama effecting my release in front of everyone. It is due to the strong support from my seniors like you, my own colleagues and JCOs/men of our company and the OR of my Troop who were in another sub unit who made the Chinese rethink and release me unconditionally on the fifth day. Recently a book Spying Against India (Chinese Military Intelligence from 1962 to 2012) Volume 1, written by one Ben Keiler (probably a nom de plume) was published by Amazon Kindle. It is difficult to verify the veracity of the content. However it complements the above map that I posted a few weeks ago on this blog (China ties to alter the status quo in Bhutan). It explains that the above map is a copy of Top Secret Chinese Intelligence map. The book publishes the originals along the translation of the accompanying texts and provides its own comments. 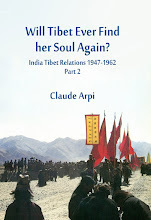 In his Tibet: a Political History, he explained : « In 1890 a convention was drawn up in Calcutta by Lord Lansdowne, the Governor-General of India and Sheng-t'ai, the Manchu Amban from Lhasa, without consulting the government of Tibet. The first article of the convention agreement defined the boundary between Tibet and Sikkim, and the second article recognized a British protectorate over Sikkim, which gave them exclusive control over the internal administration and the foreign relations of that country. Watching Chairman Xi Jinping officiating during the mega parade at the Zhurihe Combined Tactics Training Base in Inner Mongolia on the occasion of the 90th anniversary of the People’s Liberation Army (PLA), this writer was struck by the Chinese martial air of the Chinese President driving in an open jeep, dressed in combat fatigue. He later ordered the PLA to be prepared for the battle and to defeat ‘all enemies that dare offend’ his country. Was India, who had dared to challenge the mighty PLA when Beijing tried to change the status quo at the tri-junction between Tibet, Bhutan and Sikkim, targeted? It’s difficult to say. It was indeed a huge display of military power; Chinese state agencies reported that some 40 per cent of the weapons on show had never before been seen by the public. Xi, who is also the Chairman of the Central Military Commission, by far the most powerful organisation in the Middle Kingdom, inspected 12,000 combat troops. As I mentioned in my last post, ‘differences of perceptions’ on the Tibet-Sikkim-Bhutan and the Sikkim-Tibet borders are not new. China used fully these differences during the Indo-Pakistan conflict of 1965, threatening to interfere in the War and opening a new front in Sikkim. This has been well-documented in the Notes, Memoranda and Letters Exchanged between the Government of India and China (known as White Papers on China) published by the Ministry of External Affairs in Delhi. Today, I post an extract of White Paper No. 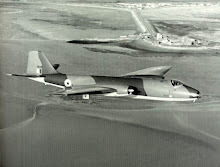 XII (pertaining to January 1965 to February 1966). 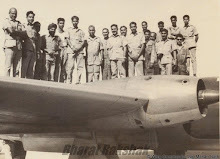 The Note relates to an incident which took place in Delhi on September 24, 1965. An Indian politician (and later Prime Minister of India) took a herd of 800 goats to the Chinese Embassy in Delhi to send a message to Beijing: is it worth starting a war over some pastures in the Himalaya or because some herds had crossed an unmarked line? 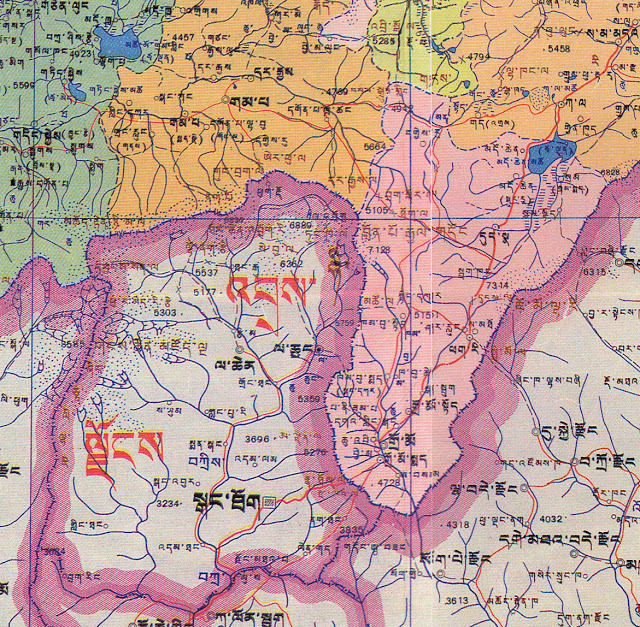 For example, this Chinese Intelligence map provides an overview of the disputed areas in Western Bhutan with detailed textual explanations. 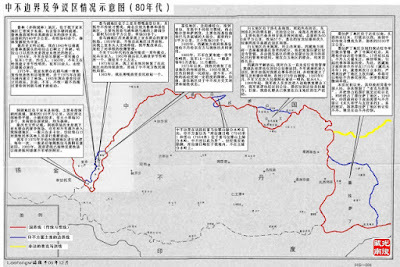 The map is said to have been compiled by Chinese intelligence some 30 years ago. 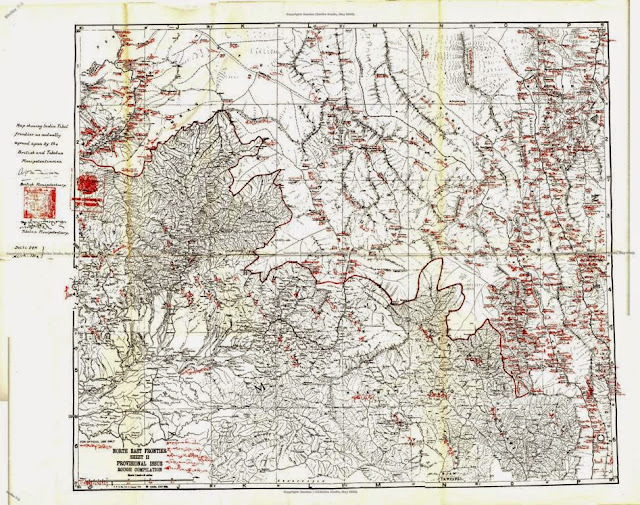 The original maps with the positions of the Bhutanese and Indian Armies were obviously not published in China, as they contradict China's version of the historical background of the present standoff with India near the trijunction. Here are details of the above map. The present standoff between the Chinese and Indian Army is taking place in the Southern part of the map. 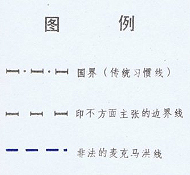 The top text shows what the Chinese consider the international border. The second text is what India and Bhutan consider as the location of the border. 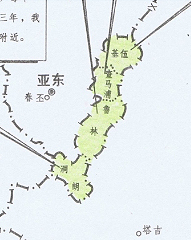 The fact that this area is shown in a separate colour (green), as well as the captions clearly demonstrates that the area was already disputed 30 years ago. Today, China pretends that the area has always been Chinese territory! 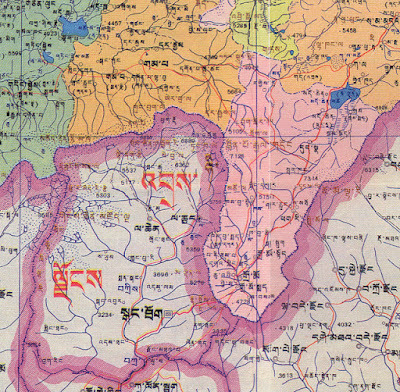 This map marked Document 67 shows that the Royal Army of Bhutan and the Indian Army were in control of the area in the 1980s. Not a single post occupied by the Chinese Army is marked. The PLA was nowhere to be seen. Light brown circle: Indian army base. 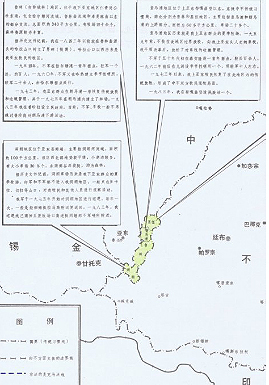 Here is the translation of text on the Chinese text accompanying the Intelligence map (as well as it 'edited' reproduction; see map on the top of this post - top most text). Luling (also called Ru-ling) area is located on southeast of the Rinchengang town, in the lower part of the Dro-mo [Lower Chumbi Valley]. The area includes some of the small rivers in the east of Dromo Machu, Charthang river and Luling river. The size of the area is around 340 sq. km and there are more than 40 grasslands (pastures). The source [of income] comes from the products of the forest; it is pretty marvelous. According to some historical documents, before 1843 China put border stone pillars on the hill of Ha-la, which is the source of the Luling River. [Nobody has ever heard of these 'pillars'; my comment]. The western part of the Ha-la Mountain’s range was in the past the pastoral area of the nomads of the Dro-mo [Chumbi]. 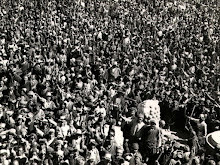 In the year of 1954, the Bhutanese army permanently settled at Charthang for whole year. There were around 100 troops occupying the area. In 1960, the Bhutanese soldiers came again and set up an Observation Post at Ha-rar with more than 20 soldiers. There were sent from the pasture ground of Charthang. In 1973, the people of the Dro-mo [Chumbi] restored their control over the border area and managed to send their animals grazing like before in the upland region of Lang-ma. Moreover, in 1975, we [China] established a forest park in the Langma’s upland. In 1983, we [China] a set up a civil administration. Now the soldiers and nomads of Bhutan do not enter the lower part of Lang-ma’s upland grassland by crossing the Phu-tren pass as before. These facts contradict the Chinese propaganda: Beijing never maintained any army base, customs office or other government function in that area until 1983. Further, according to the book Spying Against India:"If we go to the map [marked] as Doc 67 [above], we see the 1987 reality as reported by Chinese military intelligence: there are four bases by the Bhutanese army and one by the Indian army in that area alone. 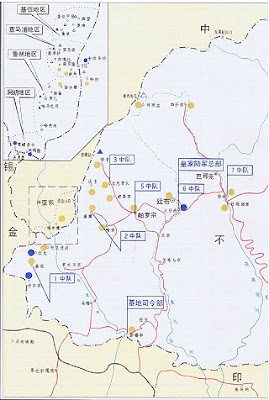 Those bases are located along the border and there is not one single Chinese base." 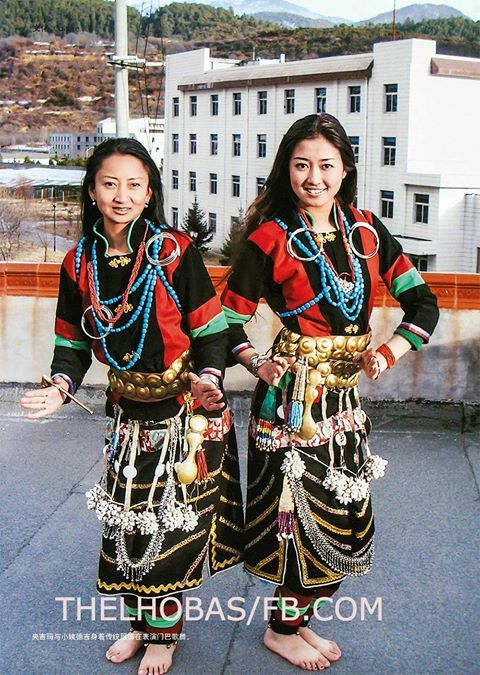 First no Tibetan from Yatung [in Chumbi Valley] or any other Chinese lived there or even went there. 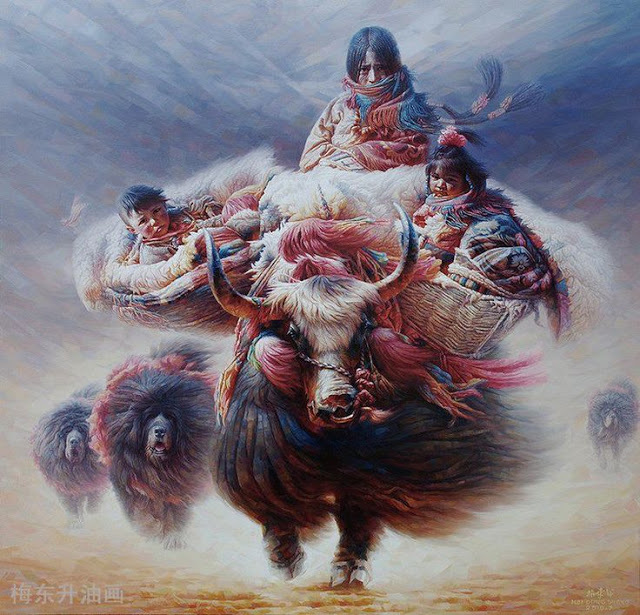 After some 20 years after the arrival of the Chinese army in Yatung, they start to send local Tibetans as ‘nomads’ with their cattle into that area to stake a claim. 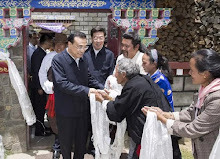 If those Tibetans are not expelled for some ten years, they open a small civil administration post which could be only an unmarked tent operated during summer. Again if that civil administration station is not demolished they start to make propaganda to claim this area has been Chinese territory since ancient times. Tunglang (Doklang) area is located in the south, moreover the valley of Tunglang river is an area of more than 100 sq. km. Northern parts of that area are plain with lots of lakes and there are more than 30 small and big grassland. Southeast are mostly forest with steep mountains and deep valley. According to the historical documents, Tunglang grassland is the summer pastoral area of the people of Lower Dro-mo [Lower Chumbi] region and the army of India and Bhutan both are not entering into the Tung lang area. They just observed to the nomads and people from a big stone. From the year of 1975, China’s armies went around very carefully, almost once a every year. Generally after we (Chinese) reached near to the Lhamasi through Shismo, we [China] returned back. In 1983, the boundary line of our observation was expanded towards the south and later it was getting nearer to the Observation Post of the Bhutanese army in Dung-Tsona in South of Trae grassland. The author of the book rightly notes: "The names and areas of those disputed territories are not identical in China and Bhutan. Therefore if the Chinese talk about Tonglang it’s not identical in size and geographical location to what the Bhutanese and Indians called Doklam." 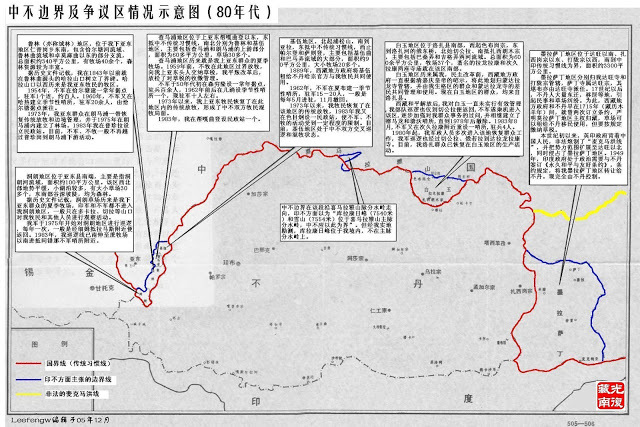 He points out at the contradiction in the Chinese Intelligence documents: "a second and different Chinese story appears is in Doc 67 where Chinese intelligence marks one base of the Bhutanese army clearly inside that very area and two more at the border." 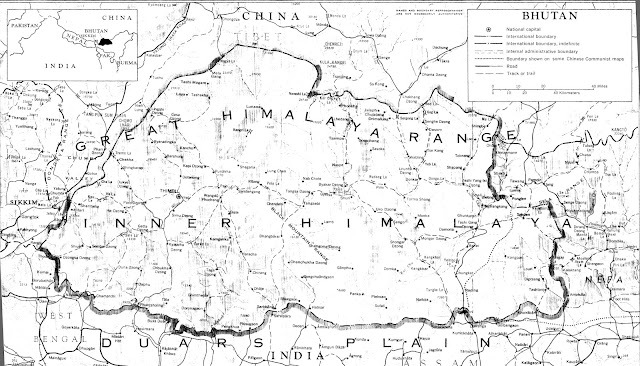 In Doc 70, we can see the deployment of Bhutanese and Indian army units in western Bhutan in 1987. The first Battalion of the Bhutanese army defends the area close to the border with Sikkim. In that location they make sure the Chinese army cannot take any shortcut through Bhutanese territory and cut-off and encircle the Indian border defense in the northern areas of Sikkim. 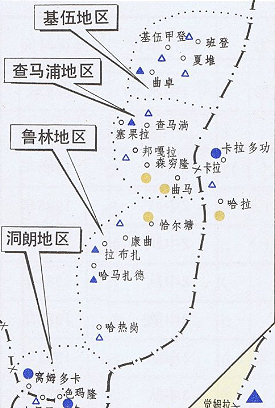 The 2nd, 3rd and 5th battalions were positioned to defend the area between Yatung and the capital Thimphu. The 6th battalion serves as reserve force and can be deployed in any direction. The Indian troops are intermixed with the Royal Army of Bhutan to strengthen the defense but also to make sure the Chinese army cannot enter any area of Bhutan without fighting the Indian Army. This mix makes sure the Chinese cannot only target the Bhutanese army and grab more land without killing Indian soldiers. All this shows that the situation is far more complicated than the one showed in the recent Chinese statement. In other words, the PLA has blundered in entering Indian territory, a place that a few decades ago, China did claim as its own. Today, at best for Beijing, it is today 'disputed'. It also shows the Chinese way of claiming new territories. They first send grazers. If not objected, the grazers would visit every year. Then a small patrol is sent. The following year a tent (representing the Civil Administration) is planted. After a few years, it becomes "Chinese territory administrated by China since immemorial times". Well, Chairman Xi has a problem; a serious problem. Can he speak of a ‘Chinese Dream’ or ‘Peaceful Rise’ while threatening to go to war against those who dare to oppose China? Would war take place, the Chinese Dream and its attendant mega projects such as the One-Belt-One-Road or the China-Pakistan Economic Corridor would be over in no time; the myth of ‘Peaceful Rise’ would be busted. Is it what China wants? True, India dared putting a spanner in China’s wild expansionism, and it is a national feature that the Chinese leadership does not like to lose face, especially at a crucial time when a new leadership is supposed to take office. So what is the solution? It can perhaps be found in a book written soon after the Gulf War by two senior Colonels (corresponding to brigadiers in India); Qiao Liang and Wang Xiangsui wrote a modern war treatise entitled, Unrestricted Warfare: China’s Master Plan to Destroy America. Their book was widely read among the strategic community who saw in it the way China would fight tomorrow’s war. One chapter is consecrated to ‘Ten Thousand Methods Combined as One: Combinations That Transcend Boundaries’. Forget about the new 40 types of war gadgets, while China knows that a conventional war would bring chaos in its economic development, the leadership in Beijing believes that a few ‘cuts’ here and there, could teach India a severe lesson; one of the ‘methods’ could be to influence Tibet’s Southern neighbours. Beijing is already working on the Dragon Kingdom. Some ‘Bhutanese liberals’ are discretely told to reject India’s help. Just go to Thimphu, you will see a huge statue of Buddha dominating the entire valley. Ask who financed it? People usually remain vague: “Probably money from the North”, some Bhutanese will finally tell you; it gives the direction! And there are other ways to defenders of the ‘freedom of speech’ in Bhutan; Beijing knows this. When one studies the history of the relations between India and China, one realises that Beijing has often tried to create an edge between India and the Himalayan region. One example, in the Prisoners of War (PoW) camps in Tibet after the 1962 conflict, the Gorkhas got a preferential treatment; they were kept in separate barracks: “you are like us, just look at your features, we belong to the same family,” hammered the Chinese propaganda. Maj Gen KK Tewari, who was one of the Commanding Officers kept as PoW in Tibet, recalled: “(the camp) was organised into four companies. The prisoners were segregated in accordance with ‘Chinese logic’. No 1 company was all officers, junior commissioned officers (JCOs) and non-commissioned officers. Field officers (Majors and Lieutenant Colonels) were completely segregated from the JCOs and men. No. 2 and 3 companies were jawans of various units. No 4 company consisted only of Gorkhas and was given special privileges, for obvious political reasons. There are indeed many more ‘methods’. 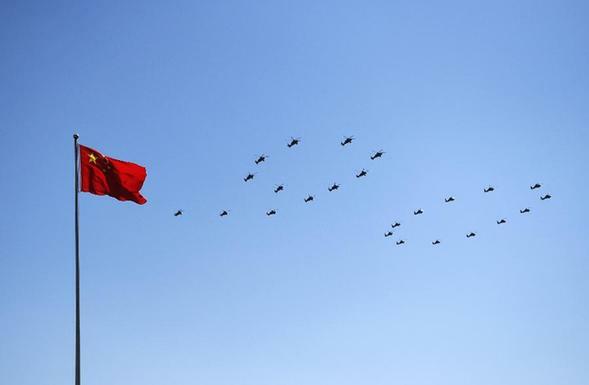 In 2003, China’s Central Military Commission approved the concept of ‘Three Warfares’; one is “the coordinated use of strategic psychological operations.” In recent months, Beijing has been intensifying the implementation of this military doctrine. The border populations are particularly susceptible to be targeted by China. 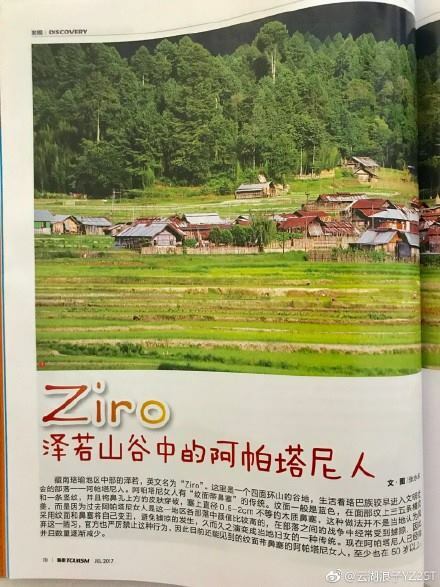 In contradiction with an advisory notice issued by the Chinese embassy in Delhi, an article published in July in the China Travel Guide magazine promotes Ziro as a tourist destination for Chinese travelers. Why ‘promote’ Ziro, headquarters of the lower Subansiri of Arunachal Pradesh? The article describes the most important Apatani settlements “in the valleys of the southern mountainous region of Tibet, where 26,000 Apatanis live.” It means that though a part of Arunachal Pradesh, China considers Ziro as Chinese. This article seems a determined step toward the assimilation of Aruanchal. That is not all, in recent weeks, China has produced a series of professionally produced films on the ‘tribes of southern Tibet’. 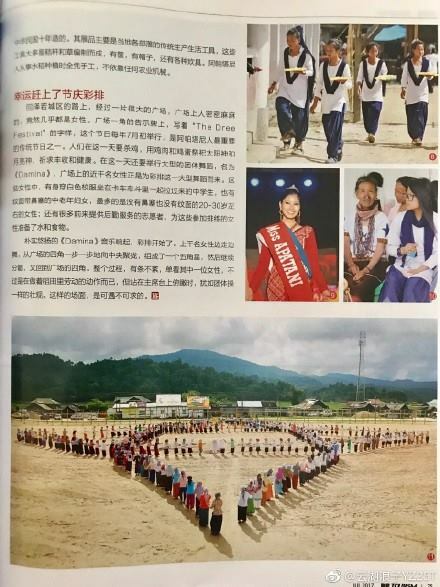 It makes many in the border areas of Arunachal Pradesh envious: “Why is China promoting our culture better than our own Government?” This has been passionately debated on the social media.The fact that the Union Government has so far ignored the issue, is dangerous to say the least. While the babus in Delhi have no clue of the existence of the Tanis or other tribes of Arunachal (or elsewhere in India), in the meantime China is slowly scoring crucial points and winning battles in propaganda/information warfare. How long can India complacently ignore the danger? Why can’t Doordarshan start documenting the rich culture of Arunachal (and the North-East in general) and invite Indian and foreign visitors to come and see for themselves the beauty of the people, their culture, their villages …and their wiser sustainable way of life. For this, New Delhi would have to liberalise the antiquated Inner Line Permit/Protected Area Permit system. There is, however, a grave risk that India could lose a crucial battle on its borders …without a shot being fired.